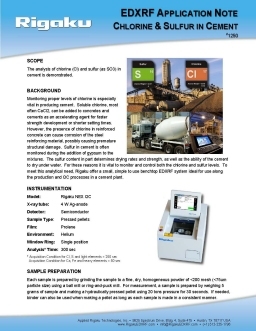 EDXRF | XRF for Cement - Applied Rigaku Technologies, Inc.
Modern Portland cement is made by mixing substances containing lime, silica, alumina, and iron oxide and then heating the mixture until it almost fuses. During the heating process dicalcium and tricalcium silicate, tricalcium aluminate, and a solid solution containing iron are formed. 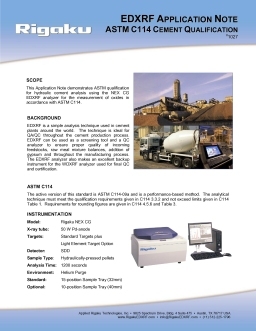 X-ray Fluorescence (XRF), a standard technique across the cement industry, is used to determine metal-oxide concentrations and oxide stoichiometry. The Rigaku NEX CG advanced Energy Dispersive X-ray Fluorescence (EDXRF) spectrometer, with its high sensitivity for light (low atomic number) elements, is the perfect cost-effective backup or supplement to your mainframe WDXRF system. 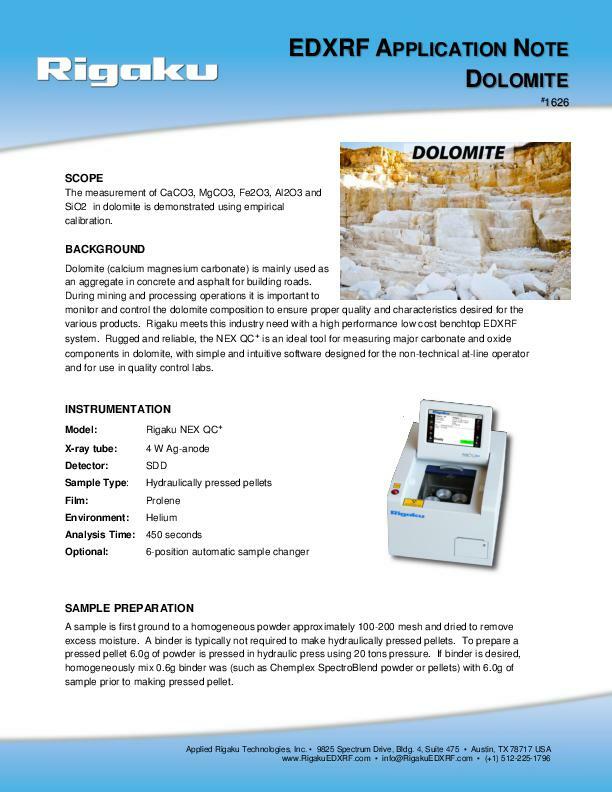 During the entire production and processing cycle, oxide composition of the cement material must be reliably monitored to ensure optimal process control, physical characteristics of the cement, as well as profitability. 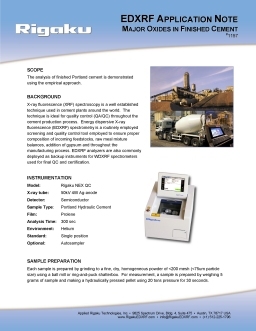 The Rigaku NEX QC gives the cement plant a reliable and rugged low-cost system for QC measurements around the plant, making it an ideal tool throughout the quality control process and as a backup to WDXRF systems. 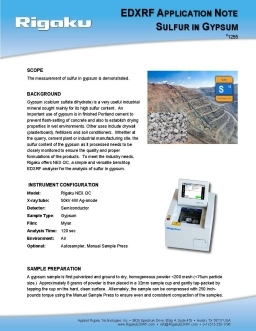 The NEX QC is applicable to clinker and raw meal materials, and can be used simply to measure gypsum (SO3) in finished cement.